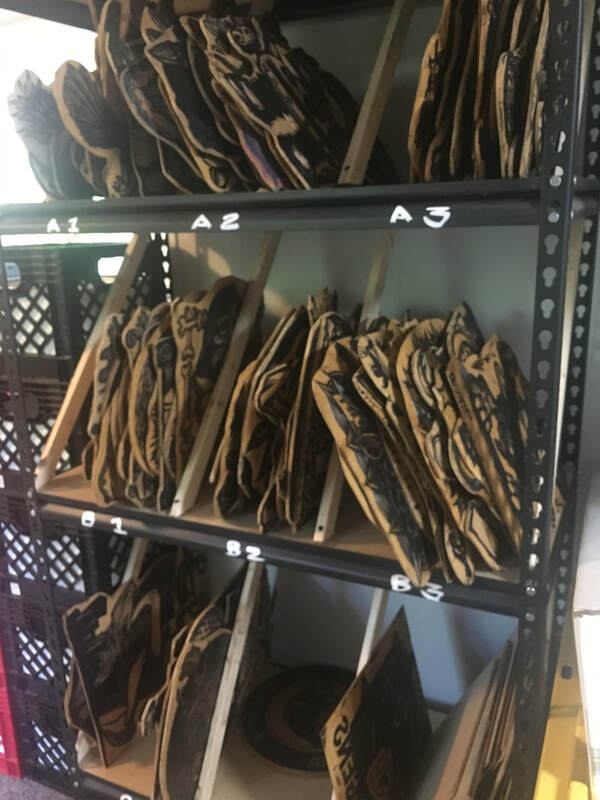 I get asked a lot about the supplies I use, so I decided to put up this page to help everyone find the answers a little easier. This is what I use, I'm sure there are other products that people use with success, but here are the products that I rely on in my day-to-day work! I have added easy to use Amazon links to products available on Amazon. If you found this helpful please use these links to make your purchase. It's an easy way for you to support me, it won't cost you anymore and I get a little bit for helping you find it! I mostly carve MDF, but on occasion I carve other materials. MDF is relatively cheap and easy to carve. It is an engineered wood product. 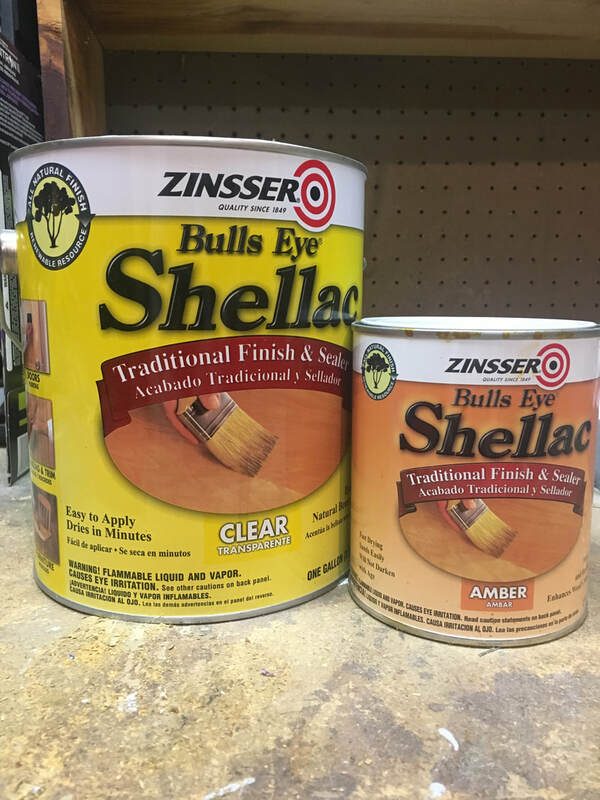 It is commonly found in home improvement stores and lumber yards. 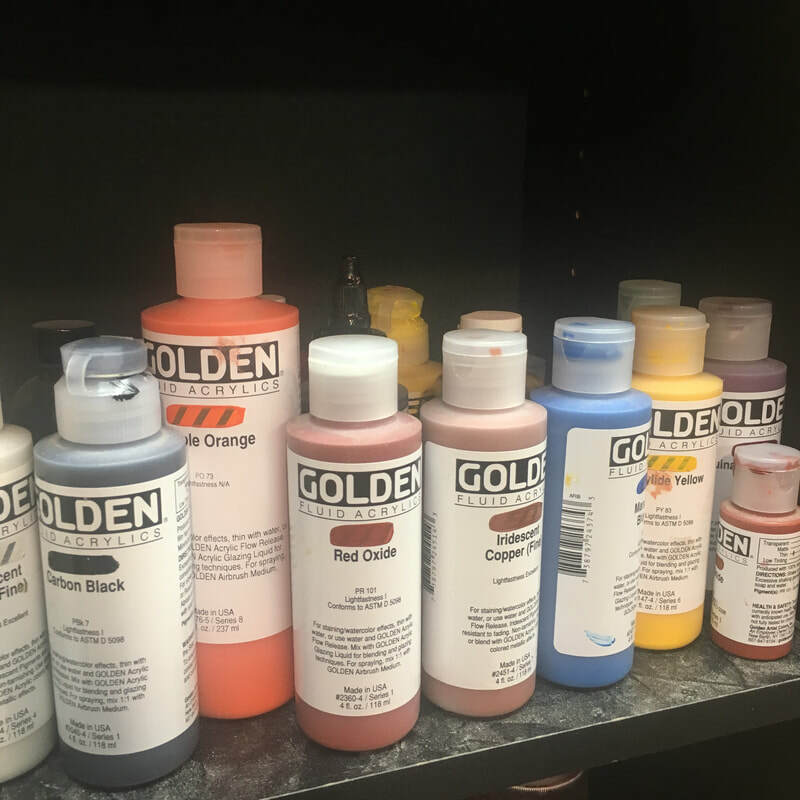 I use oil-based inks exclusively. My favorite brand is Gamblin. 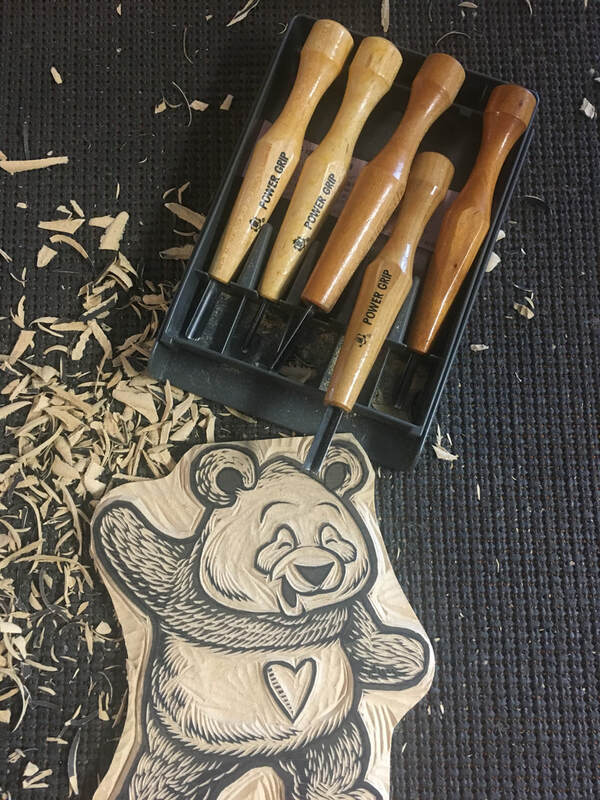 What tools do you use to carve? I personally use Power Grips carving tools. They fit comfortably in my hands, and recommend them to anyone looking for some solid tools! ​What Kind of Press do you have? I have a Conrad E15 Press. It's awesome. I use a couple different products depending on how much love and attention they need. I'll post them in the order of most attention to least attention. 3. 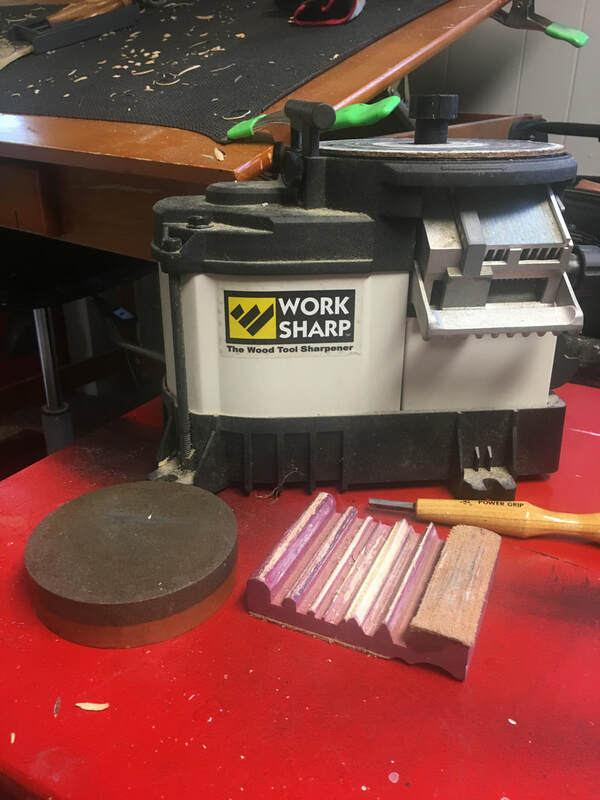 Work Sharp: The wood tool sharpener. What do you use to seal your blocks? Sometimes I seal my blocks before I carve them. Sometimes I seal the blocks after I carve them. But I always use Bullseye Shellac. Linoleum is great. It holds detail perfectly. I tend to use it for smaller scale projects, or for prints that I want to look a little more controlled than a MDF block can provide. 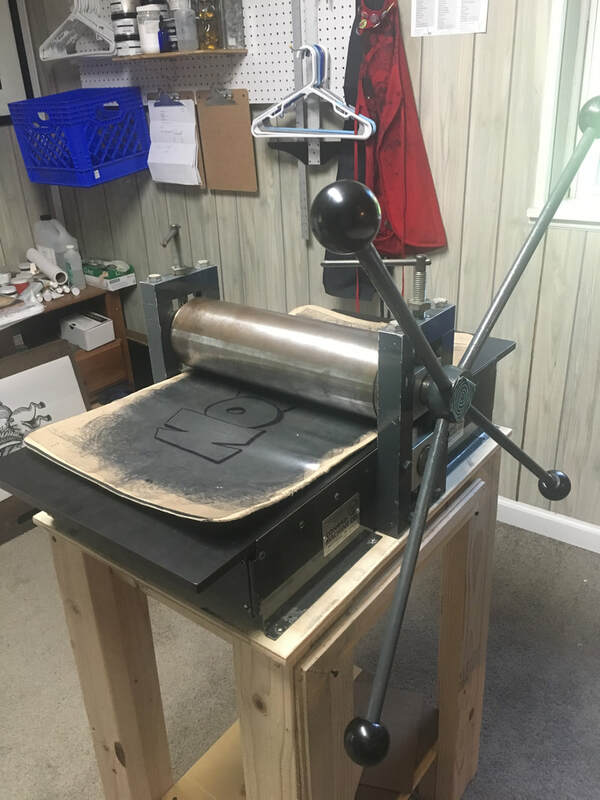 I prefer the mounted blocks for press use, but they are a little more expensive. I'm including links to both mounted and unmounted linoleum. 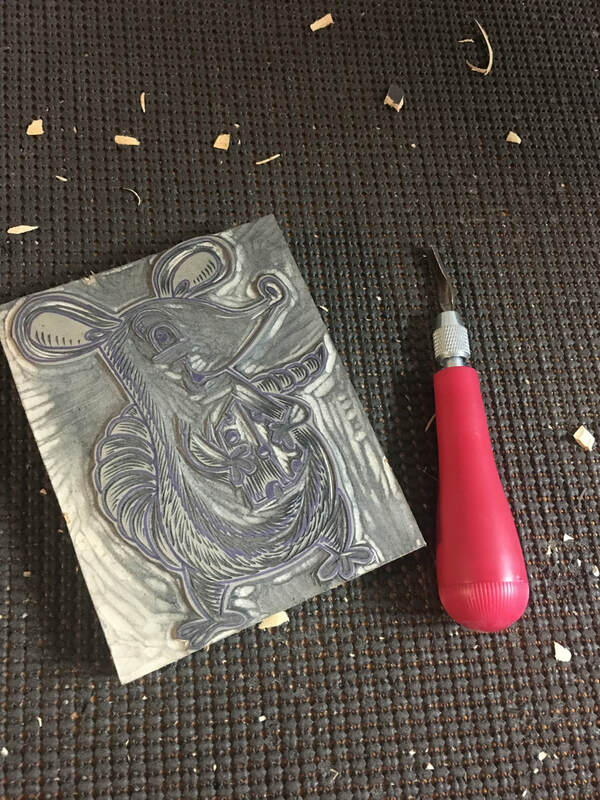 Linoleum is also great for beginners. You can buy a relatively cheap set of tools to see if you like the process before investing in some big boy carving tools! The speedball carving sets are great for starting out. They can do a lot for the $$$$. What do you use to clean up? I use oil based inks exclusively, so I need to use mineral spirits to clean up. Vegetable oil and degreaser can work too if you don't want to use mineral spirits. 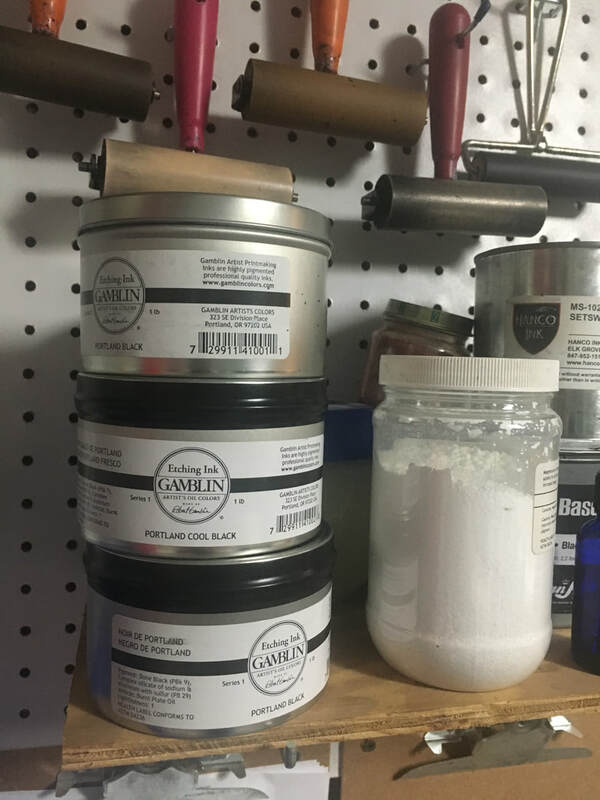 But Gamblin makes a great studio safe product. Be sure to grab some gloves too just to be safe. Although Gamsol is advertised not to be absorbed through healthy skin, I always wear gloves during clean-up.